Moving from one home to another can be stressful and exciting at the same time. Every year, hundreds of thousands of people across America move from one home to another, whether in the same state or to another state. Some families may also move to another country, especially the military. However, moving with a family to Altamonte Springs does not have to be terrible. And with proper planning, people can easily and quickly move into their new homes. Knowing how to do everything right the first time, as well as small cooperation and organization are the key points for the right solution to the problem. Exploring things like movers Altamonte Springs FL, storing options and determining your new location are all important for an easy transition. Preparing for the move – this is the first step in the process of moving. Think about your new location and get an idea of where important objects like hospitals and police stations are located. Look at the new neighborhood and find out where the main grocery stores and other important places are. Check out facts such as the local population, current state programs, and schools. Get ready to pack as early as possible and start packing some fragile items that are not needed right now, such as decorations and off-season clothing. Mark all your boxes, so when you move to a new home, it will be much easier for you to unpack and configure everything. If you need storage space, reserve a place in advance so that you can easily put everything in place as soon as you arrive. By calling the utilities in advance and turning electricity, gas and water on, you will get everything you need to use. Let the children know in advance about your move. Relocation can be difficult for them, so they should be able to prepare and accept the fact that you are changing a house. Take your children on a tour of their new school, if possible and where applicable. This will help them understand what their new school will look like and how it will work. Stay positive and assure children that moving is fun and exciting. If you and your spouse remain positive, the children will too. Offer the children ways they can help. Assign them some responsibilities, such as assembling rooms, simple cleaning, and other things. Making them feel involved will help them feel that they are contributing. Sit like a family and solve all the problems of children. This can help ease fears and clear the air before moving with a family to Altamonte Springs. Altamonte Springs, located in Seminole County, is home to about 41,500 people. Residents like to demonstrate their patriotism, which is most clearly seen at the annual Red Hot and Boom fireworks show, which takes place on July 3, the day before Independence Day. The festival has a lot of live music, food, and games that gather huge crowds, making it the largest holiday of its kind in Central Florida. Altamonte Springs is conveniently located about 30 miles from Florida’s main attractions, such as Walt Disney World Resort, SeaWorld and Universal Studios Orlando, which means that you will always have fun and exciting entertainment. As one of the best Central Florida moving companies, AAA Insta-move wants to help you get around Altamonte Springs. Once you have settled at home, you will probably need to go shopping for some items. 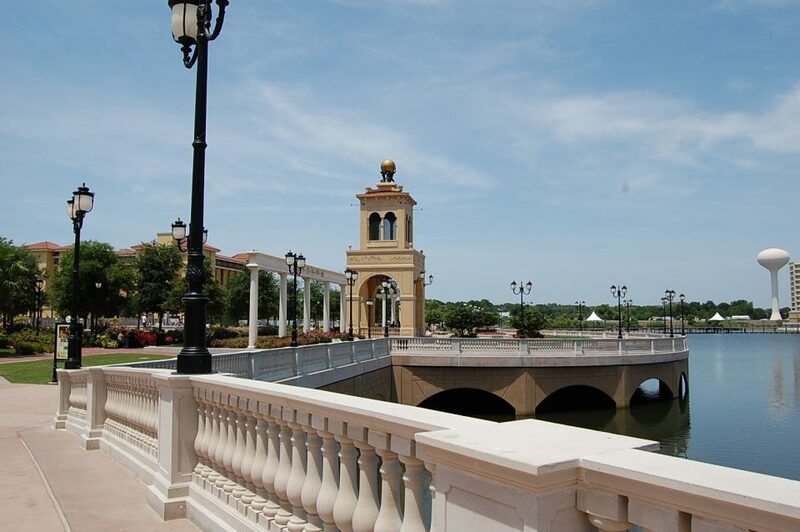 A good place to start is Altamonte Mall, one of the largest in Central Florida. There are about 160 stores with Macy’s, Sears, Dillards, and JCPenney. In the Uptown Altamonte, commercial buildings, residential buildings, entertainment, and educational institutions are combined, which makes it a central place where residents can work and play. In the center is the Cranes Roost Park, which surrounds the 45-acre lake Cranes Roost. It has a mile of footpaths, a fountain show, and an amphitheater. If you are tuned to traditional American cuisine, follow the locals to Season 52. In the mood for Italian cuisine? Go to the cafe Muro. People eager for Japanese cuisine will want to try Hana Sushi. When one of your children has a birthday party, you’ll want to visit Altamonte Springs’ Birthday World, a family entertainment center that includes arcade games, roller coasters, bumper cars and lots of pizza, hot dogs and other fun dishes. As your relocation company, AAA Insta-move will happily remove the burden from your family by collecting all your belongings and unpacking them upon arrival at your new home. We will make your moving with a family to Altamonte Springs as easy as possible. We are a full-service long-distance moving company that prides itself on providing competitive rates and excellent customer service. If you have any questions about the upcoming transition, please call us today to receive a free offer.